This modern designer tie creates a contemporary look and feel thanks to the slimmed down cut as well as the matte textured weave. The matte woven background in dark navy is decorated with embroidered florals in cherry red and steel blue. 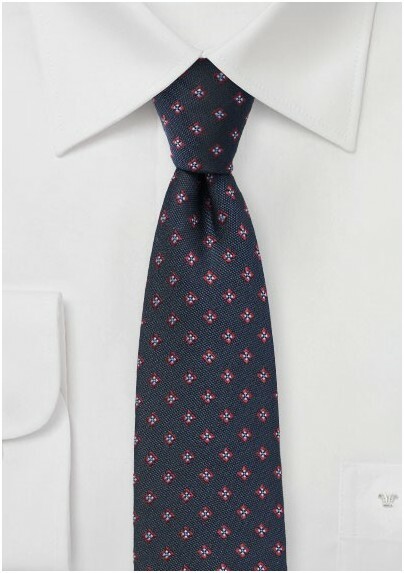 A great choice for any suit in midnight blue, gray, or olive green. 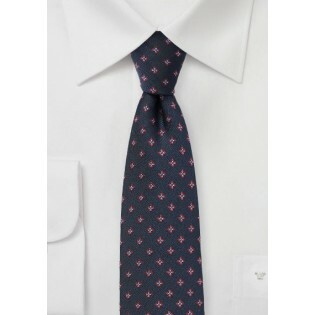 Also available in classic navy with light blue and silver embroidered flowers.